Art by Irene Koh and Paul Reinwand. DC Comics’ “Doomsday Clock” and “Dark Metal” topped direct market comic sales for January 2018. Meanwhile, “The Legend of Korra” topped direct market trade paperback/graphic novel sales; “Saga” did well in bookstore graphic novel sales. DC topped the comic sales charts with the usual: “Doomsday Clock,” “Dark Nights Metal,” and Bat-books aplenty. Marvel appeared in a few spots, plus Image’s “The Walking Dead” made fifth place. “Scooby-Doo Team-Up” #34, the issue featuring the Birds of Prey, sold 6,610 issues, according to Comichron sales figures for January. 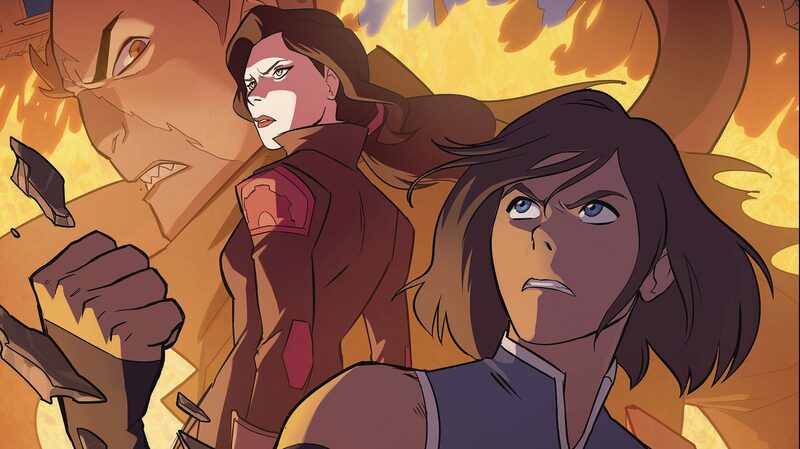 Former Nickelodeon series “The Legend of Korra” is still running in comics, and is the top-selling graphic novel for January in comic shops. Image’s books take up half of the top 10 slots, while Marvel’s top seller is an “Old Man Logan” volume. 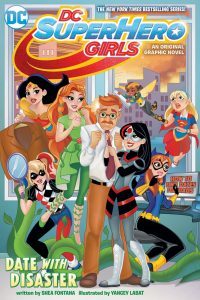 Meanwhile, DC’s top seller is the newest volume of “DC Super Hero Girls.” “Date with Disaster” focuses on Batgirl and Lois Lane, but also on Commissioner Gordon wanting to date (and Barbara’s reactions to such). It’s a positive sign that “DC Super Hero Girls” is popular enough it’s DC’s top selling graphic novel, even in the direct market. ICv2 and Bookscan have announced they’ll now release top 20 sales lists for graphic novels, divided into three main categories: adults, kids, and manga. Basic information (the top 20 lists themselves) are free, while subscribers can see actual sales figures. Granted, Bookscan isn’t as high profile as the former New York Times best-seller lists. Still, it’s a major improvement in seeing what graphic novels sell well in bookstores. It’ll also let me discuss a greater variety of comics for these posts, including more attention to books I actually like (versus most of what usually makes the top 10 single-issue Diamond lists). “Saga,” volume 8 TPB is the top-selling trade on this list. 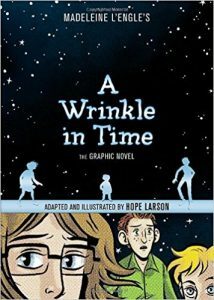 Also appearing in the top 20 are Alison Bechdel’s “Fun Home” (at #4) and “March: Book One” by John Lewis, Andrew Aydin, and Nate Powell (at #14). Only three superhero titles appear on this list: “Watchmen,” “Black Panther” (volume 1 of the current series), and a recent “Batman” volume. “RWBY,” a Japanese manga adaption of an American anime-style web series, is the top seller this month. I notice a whopping 17 of the top 20 manga volumes are published by one publisher, Viz Media. Next Post:Why is Scooby-Doo still popular after 50 years?